A forerunner of the CL machines, three examples only of the C IX were constructed during 1917. It was of unusual single-bay format for a two-seater, with the top wing considerably swept and the lower wing straight. The fuselage and empennage was similar in construction to that of the famous D types. 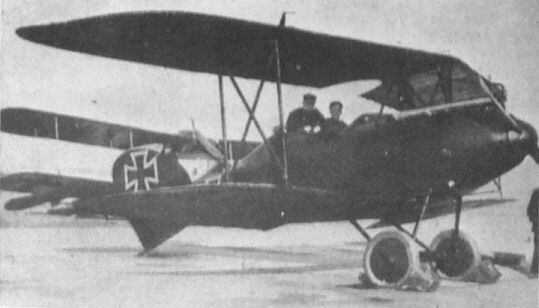 It is reported that one of the C IXs was presented to Baron Manfred von Richthofen for his use behind the lines as a personal transport. Engine, 160 h.p. Mercedes D III. Span, 10.4 m. (34 ft. 1 1/2 in.). Length, 8.22 m. (26 ft. 11 7/8 in.). Height, 2.735 m. (8 ft. 11 3/4 in.). Weights: Empty, 790 kg. (1,738 lb.). Loaded, 1,150 kg. (2,530 lb.). Speed, 155 km.hr. (96.875 m.p.h.). Climb, 1,000 m. (3,280 ft.) in 5 min., 4,000 m. (13,120 ft.) in 30 min. Duration, ca. 2.5 hr. One of only three Albatros C.IX Type Two-seater biplanes built in 1917, with arrow-shaped wings and curious strutting arrangement. 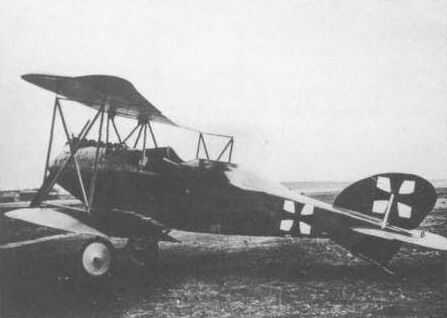 The sole Albatros C IX of early 1917 was one of a number of prototypes submitted against the need for an armoured close air support type, shortly to be given their own CL designation to identify their specialised ground attack capability. As it transpired, the Junkers J I was to sweep all competition aside and, thus, the lone Albatros passed into the hands of Baron Manfred von Richthofen, for use as his personal transport. The 160 hp Mercedes D III powered C IX had a top level speed of 96.3mph. Germany's leading World War I fighter ace, Baron Manfred von Richthofen, went to war in August 1914 as a young lieutenent in a lancer regiment, aged twenty two. Only at the close of 1914 did he succeed in transferring to the Army Air Service, where, as with many other fighter aces to be, he cut his aviation teeth first training and then operating as an observer. Indeed, it is generally held that although officially unconfirmed, his first 'kill' was made against a Farman from the rear of a two seater. Even after gaining his wings on Christmas Day 1915, the young flier was to remain piloting two seaters for much of 1916. It was during this period that he was to meet the father of German fighter tactics, Oswald Boelcke. 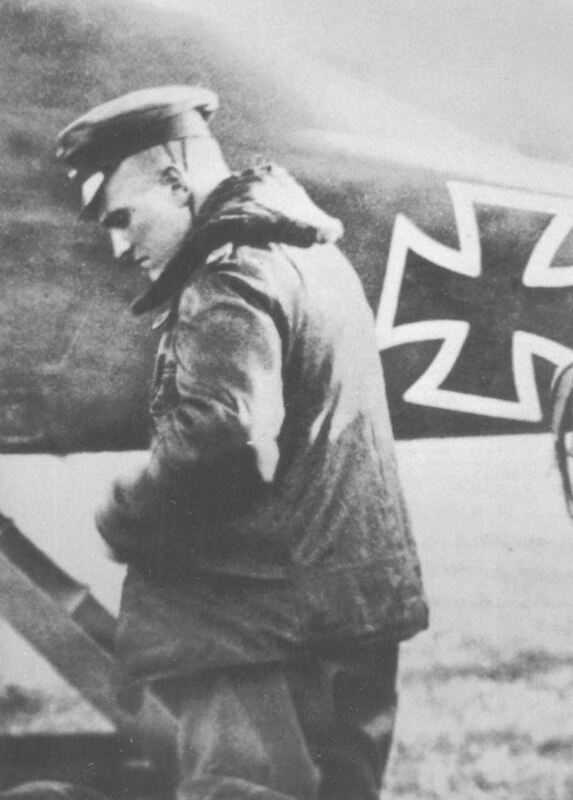 Clearly something about Richthofen impressed Boelcke, who subsequently invited him to join his newly formed fighter squadron, or Jagdstaffel 2. Here, Richthofen was one of four to fly the unit's first mission on 17 September 1916, setting him on a course that was to see him credited with 80 victories, before he and his scarlet Fokker Dr I were to meet their end on 21 April 1918. The Baron scored official victory number 16 on January 4 1917 and received the Pour Le Merite twelve days later as the new leader of Jasta 2 (at that time the medal was awarded for 16 kills). The picture captures the young Baron about to climb into his personal transport, which, ironically, was the sole prototype Albatros C IX, presented to him after its failure to gain full operational acceptance.